Spot yourself hanging out of the coach window! 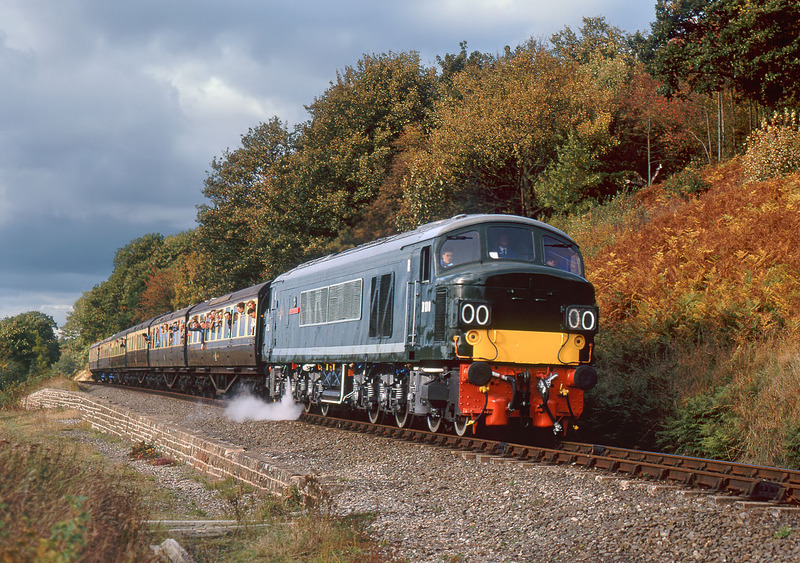 D100 Sherwood Forester passes Northwood Lane, near Bewdley with a Bridgnorth to Kidderminster train during the Severn Valley Railway's Diesel Gala on 14 October 1989. Unfortunately the dark clouds that had been threatening all day have finally rolled in, with only a trace of sunlight for this picture.